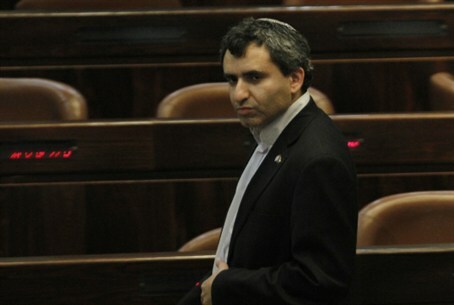 MK Ze’ev Elkin criticizes Defense Minister Barak, says his decision to evict the residents of Beit Hamachpela in Hevron was political. Coalition chairman and Likud faction chairman MK Ze’ev Elkin criticized Defense Minister Ehud Barak on Thursday, saying Barak’s decision to evict the residents of Beit Hamachpela in Hevron was made only for political reasons. Elkin’s criticism came after it was reported that Barak ordered that a poll be conducted after he ordered the eviction, to see how this decision affected the chances of his Atzmaut (Independence) party to pass the electoral threshold. It was reported on Thursday that an internal poll conducted on Wednesday by the Independence party shows that if elections were held today, the party would get three seats. Previous polls had Independence with only two seats in the Knesset. Sources close to Barak said that the poll commissioned shows that his decision to evacuate the house in Hevron was able to attract new supporters to his party. The eviction on Wednesday came on Barak’s orders in violation of an agreement between his bureau, Prime Minister Binyamin Netanyahu, Strategic Affairs Minister Moshe Yaalon, and Minister Without Portfolio Benny Begin to delay the move until April 26 – after Passover.